Had Rick Barnes left Tennessee for UCLA, it would have bucked the trend that we’ve seen developing in the past year. The SEC now boasts more destination jobs than ever. The conference now has more schools capable of winning big and making it financially beneficial to stay as long as they choose. 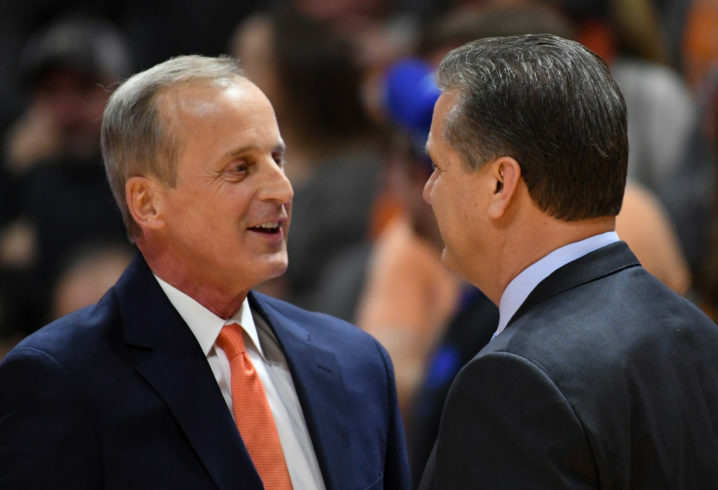 SEC basketball coaches are getting paid like football coaches, and Barnes is just the latest example of that. Last week, it was Buzz Williams leaving an ACC school that reached the Sweet 16 for Texas A&M, where he’ll be paid like the elite coach he is. 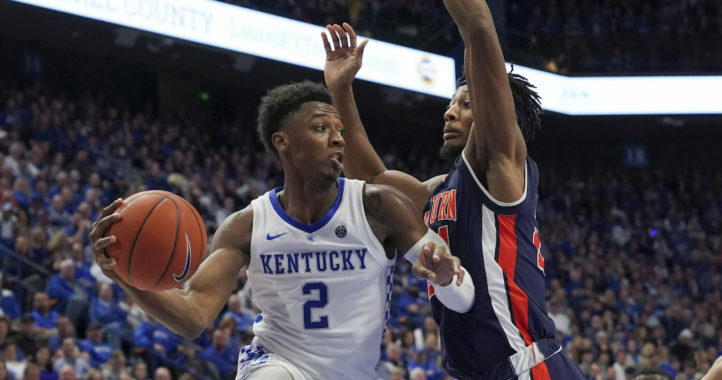 How about the week before that when John Calipari and Bruce Pearl battled in an all-SEC Elite Eight, which marked the second time in the past 30 years that 2 SEC teams played in a game that deep in the NCAA Tournament. None of this is breaking news. 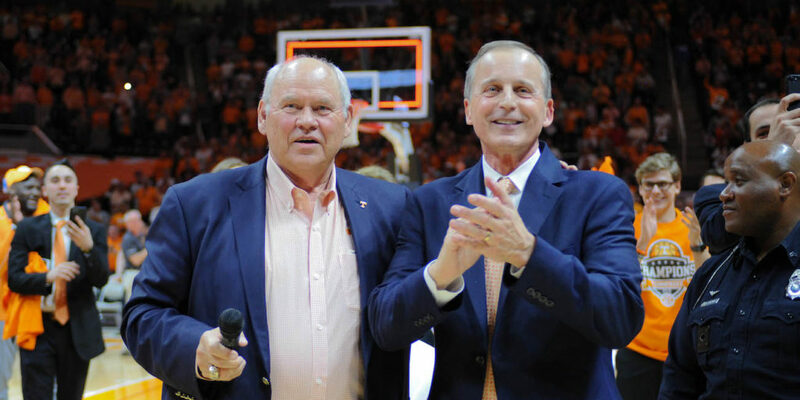 What is news is that with Barnes back in Knoxville and with the coaching carousel stopped — for the time being — it now looks the SEC is closer than ever to having the nation’s top group of coaches. Listen. That title still belongs to the ACC. Between Mike Krzyzewski, Roy Williams, Jim Boeheim and new national champion Tony Bennett, the conference boasts 4 coaches who won it all. The SEC has Calipari (1 ring) and a bunch of dudes who have made deep NCAA Tournament runs, but never quite gotten that far. With additions like Williams and Eric Musselman, 11 of the 14 SEC coaches have at least been to a Sweet 16 (I’m including Tony Benford/Will Wade in that). One of the coaches who hasn’t accomplished that feat yet was 2019 SEC Coach of the Year Kermit Davis and new Alabama coach Nate Oats, who led Buffalo to an NCAA Tournament win each of the past 2 years. Yes, I realize that the Big 12 is a 10-team league in which 90 percent of its teams have a coach with a Sweet 16 appearance on their resumé. But like the SEC, the Big 12 only boasts one coach (Bill Self) with a national title. So maybe you could make the case that the Big 12, if Chris Beard stays at Texas Tech, also has a better collection of coaches than the SEC. But at the very least, I’d argue that the SEC has narrowed the gap between the Big 12 and ACC in a big way in the last year. Let’s just go back to February 2018 before Andy Kennedy was fired at Ole Miss. At that time, the SEC had 9 coaches who had been to the Sweet 16. In the previous 2 NCAA Tournaments (2016 and 2017), the SEC had a total of 8 teams in the field. In the past 2 NCAA Tournaments, that number jumped to 15. Now, the goal for teams like Alabama, Georgia and Texas A&M is to make football-crazed schools into basketball powers. It’s the Auburn/Tennessee model. If you don’t think SEC athletic directors had those programs on their minds before taking a long look in the mirror to evaluate their basketball coaches, I think you’re wrong. Maybe 5 years from now, we’re talking about the SEC undeniably boasting the best collection of coaches in America. After all, those ACC giants aren’t going to be there forever. Bennett is only 49, but Williams is 68, Leonard Hamilton is 70 (even though he doesn’t look it), Krzyzewski is 72 and Boeheim is 74. And sure, Calipari is 60 and Barnes is 64, but both just inked new deals that will essentially squash speculation of them leaving for the rest of their careers. Williams won’t be leaving A&M anytime soon, and I’d be surprised if after his team’s historic Final Four run that Pearl didn’t get a sizable extension to keep him at Auburn for a long time. The bar for SEC coaches has risen considerably in the past year. Four SEC coaches with at least 9 years of experience at their respective programs were fired in the past 14 months. The time to win — and win big — is now. SEC athletic directors recognize that, and perhaps a large football-fueled annual revenue check has a lot to do with that. Whatever the case, it’s a good time to be an SEC coach. Well, unless you can’t keep up. Been kinda disappointing since, but Frank Martin made the final 4 2 years ago, y’all could show him some love. I think y’all will be pretty good next year. I don’t follow basketball as closely (Bama hasn’t been too interesting to watch), but I heard that your team was pretty young this season. Didn’t you guys finish 4th or 5th in the SEC? They’re still trying to figure bball out. Can’t expect much from here just yet, unless you were at the top of the league this year.